Originally from Burfordville, Missouri, Dr. Crader attended Truman State University for his undergraduate degree, where he played second base for the Truman Bulldogs for four years. He graduated from the University of Missouri – St. Louis (UMSL) School of Optometry with a specialty in treating glaucoma, and he is a member of the American Optometric Association (AOA), Texas Optometric Association (TOA), and a Vision Source provider. 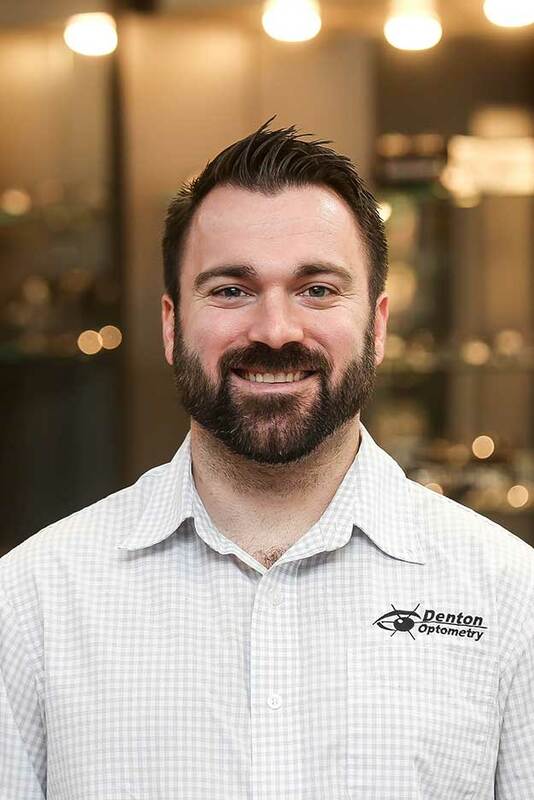 He joined Denton Optometry in 2016. Outside the office, Dr. Crader is an active member of the Denton Chamber of Commerce. He and his fiancé Lindsey have two black labs named Bently and Boo. He unwinds by going fishing, golfing, watching sports, and reading. If Dr. Crader could turn any activity into an Olympic sport, in what event would he have the best chance to medal?